There are a lot of good couples therapy training programs available today. You can listen to webinars, attend conferences, and read books and articles to learn about the latest strategies. But there is a serious limitation to all of these: what happens when a great intervention falls flat or you’re faced with a partner who just isn’t motivated? Your last session ended on a sour note. You’re afraid the next session will be like the last, and your fear is well-grounded. Imagine having your own on-call expert. What if you could contact the expert before your next session? And get targeted feedback about what to do and why to do it? It’s your professional SOS lifeline. Whenever you want it. No matter where you live. Really. How? Join my online training group and you can ask me anything on a secure encrypted members-only website. Whenever you want. Write in your question and you will get a rapid, targeted, clinically clear response to apply in your next session. Or take advantage of a live monthly phone call, where you can choose to present a case and I will teach about the clinical challenges you are facing. Not only do you get timely suggestions, but you also get the theory and reasoning behind the interventions. To do exceptionally solid couples therapy is much more complicated than many therapists think. It involves a powerful combination of systemic, developmental, and intrapsychic interventions. It involves integrating Attachment theory and Differentiation theory with knowledge about Trauma and Neuroscience. But most of all, it takes ongoing coaching and learning. I’m Ellyn Bader. I’m on a mission to stop unnecessary and premature divorces that wreck couples and families, and to train a core of committed, exceptional couples therapists worldwide. Don’t get me wrong. I love learning through books, conferences and workshops, but they all leave me wanting more. Get more when you want it. When I hear a speaker who makes my head buzz with new insights and possibilities, unfortunately too many of the insights are wasted when I can’t get ongoing learning from the trainer. I hunger for ongoing learning after the initial presentations. When I get what excites me, I want more of it. I don’t think I am alone in this feeling. This was my driving force behind starting an ongoing couples therapy training and mentoring group. Of all the professional activities I have been involved in (and there have been many: co-authoring best-selling professional books, founding The Couples Institute, being an invited speaker at most major professional conferences and being interviewed by major TV, news and print media), I discovered what I really valued much more deeply was seeing the growth in couples therapists who cared about making a real difference. That’s right, for most licenses this course fulfills the entire CE requirements for a whole licensing period. After specializing in couples and working in the trenches for thirty years, I know how challenging estranged couples are. I remember how I worried about a couple’s marriage hanging by a thread when they were depending on me, not realizing how few couples I had successfully helped. And I felt like a charlatan waiting for the next couple referral when I lacked confidence. Now you can fill in the gaps in your couples therapy training with me by your side. And you can do it in ways that I believe you will find enjoyable, convenient and comprehensive. I know this is a tall order. But here’s why I believe I can make such a promise. And it’s training without travel! Why Is the Developmental Model So Important? One of the biggest breakthroughs in our profession is our recent knowledge that the mind can change the architecture of the brain. Learn cutting edge techniques and approaches to deal with early life trauma that is stored in the emotional brain and then contributes to the pain couples inflict on each other. Changing their interpersonal process becomes much easier. 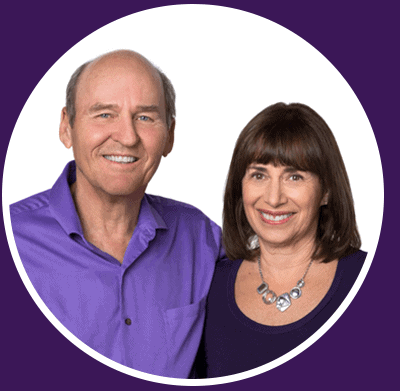 This one-year training program is the culmination of all my 30 years experience, shaped and customized to improve your experience in seeing difficult couples! If you want to excel at working with couples, this program is your practical road map. You will learn what to do, how to do it, and why to do it. Help couples become collaborative instead of combative. Ensure that couples feel progress and don't give up. Your training starts when you sign up – you will not be ‘behind’. After you register, the first lesson will automatically be sent to you, and every two weeks you’ll receive another. You’ll see the support for your most recent lesson on the training site anytime you log in, plus all the other great material, monthly clinical calls, and bonus calls. The monthly calls will highlight cases from individual members that tie into a variety of lessons on a variety of levels. Local call in numbers are available for members living anywhere within the United States, Canada, Australia and the United Kingdom. Or you can utilize an online call service of your choosing to get on the live calls with me. Otherwise you can listen online in real-time and submit questions with the click of a button, or just choose to access recordings of each call at your convenience. Join many therapists who have trained in the Developmental Model. The diversity of experience and uniformity in commitment is impressive, and we've had participants from over twenty countries. And each lesson is strategically sequenced so you keep building your skills and interventions. If you want to excel in your work with couples, I’d like to work with you. Written Lessons: Every fifteen days you will receive a substantial written lesson. You will learn how to address and solve specific problems based on the Developmental Model. Conference Calls: Every month we will talk on the phone. You will have questions as you learn and apply new theory and interventions. These calls are live, and we even provide local call in numbers for anywhere in the United States, Canada, Australia and the United Kingdom. They focus on clinical cases and will enhance your perspective on challenging situations. These clinical calls give you an opportunity to get your questions answered. You simply cannot get this important ongoing feedback from a workshop or book. Audio: Each conference call is recorded and saved for you in a downloadable format. It’s posted within 24 hours so you can listen at your convenience, on your computer, or on the go. Client Handouts: You’ll also receive exercises and handouts to use with your clients. Bonus Calls: In our private website, you’ll find an invaluable library of our past bonus training calls from experts including Janis Spring, Esther Perel, Stan Tatkin, Harville Hendrix, and many more. You can listen to these immediately when you join. And throughout the year there will be guest appearances from other specialists in the field of couples therapy whose work complements what I am teaching. November 2017, Alazne Aizpitarte Gorrotxategi, On Dating Violence. Peer Consultation Groups (optional): Join a peer consultation group and you can take advantage of collaboration with other therapists on the application of the new principles you are learning. Some past participants have found this to be a valuable way to reinforce what they are learning. Members’ Directory: List yourself, and use the directory to find other therapists to refer to around the world, as well as some who can refer to you. Your network of professionals and possible future friends just expanded. Savings: Enjoy a 15% discount on all Couples Institute products. Certificate of Completion: We’ll issue you a professional looking certificate when you complete the training, so that you can more easily convey your skills and expertise to clients. If you think of pricing for monthly conference calls, guest experts, recordings, printed lessons, and ongoing blog interaction, you know it’s incredibly valuable. But this program is priced at just $127 a month, or $4.17 a day. Lots of people spend that much for their coffee on the way to work. Or pay 10% less when you pay for the full year of training upfront. That’s for your monthly conference calls, unlimited access to the members’ website where you can download, listen, read and review lessons, and a blog where you can ask me and interact with me on any challenges you are facing. Considering my hourly consultation rate of $300 and that I no longer consult for therapists who are not in my training program, this is an amazing value. I don’t think anyone should feel like they have to pay for a group that isn’t helping them. If at any time during the first 30 days you feel like you are not on the path to becoming a better couples therapist, I will promptly refund your full investment. The information in this training has been tested, refined, and tested again in the arena where it counts most: the offices of therapists throughout the United States and on five other continents. The feedback is universally enthusiastic from therapists just like you. Register now, as space is limited. I limit enrollment to allow for necessary personal attention. This program will shave years off your learning curve because I’ve done the work for you. You can make a bigger difference. So sign up now, work at your own pace and get personal help along the way. To be notified when registration opens again,please enter your name and email address below. 2. Will this approach be compatible with how I work? Yes! The integration of attachment theory, differentiation theory and neuroscience has proven to be compatible with audiences I have trained throughout the United States, Europe, Asia, Australia and South America. This training receives consistent, enthusiastic feedback that it enhances rather than collides with various other approaches. You will not need to learn a whole new approach. 3. I don’t have a lot of experience with couples - will this training be too advanced? Likely not. When I give presentations at different state and national conferences, the audiences typically include novices through seasoned therapists. What they all appreciate is the understandable ways these orientations are integrated and can be immediately applied to their own practice. Not unless you have done extensive training with me in the Developmental Model already. The consistent feedback I get, even from therapists who have been in long-term practice, is how valuable these concepts are along with the opportunity to get feedback as you integrate them. The training can benefit a variety of professionals who work with individuals in relationships or with couples. Past participants have included psychologists, clinical social workers, marriage and family therapists, marriage counselors, clergy, mental health counselors, relationship coaches and more. 6. I’m not technically savvy. How difficult is the computer part of the program? Most therapists – myself included – feel some anxiety about using technology. I’ve worked hard to be sure that our materials are very user-friendly. And our office staff is patient with beginners. So don’t let it scare you; jump right in. You can ask questions throughout the 12 months. I stay on the monthly phone calls to answer all the questions you have, and as well I and my team monitor the questions asked on the blog around the clock. 8. What makes this different from taking a conventional online CE course? With online courses there is no interaction with the instructor. You can’t ask questions about a specific case. You can’t get elaborations on especially relevant interventions. There is no way to ask, “Now what?” Participants from our courses also observe that the support from peers on the blog is a huge unexpected benefit. At a workshop you may or may not get your specific questions answered. You can’t keep asking deeper and deeper questions to the presenter as they have too much material to cover. You cannot call the instructor after the workshop and say, “Wow, what you taught was really great, now how can I apply the interventions to my particular case?” A workshop is not designed to be comprehensive. This exclusive and comprehensive membership program is. 10. Why does this training extend over a year? You need time to implement, experiment, and learn how to apply the interventions with confidence. The truth is you need two things to be successful – not just with couples, but also in almost any area of your life. The first is knowledge of how to achieve the success. The second is the dedication to acquire and apply that knowledge. If you supply the dedication, I will give you the knowledge. Agency discounts are available for 3 or more people. Please call 650-327-5915, 877-327-5915 or contact us for more information. 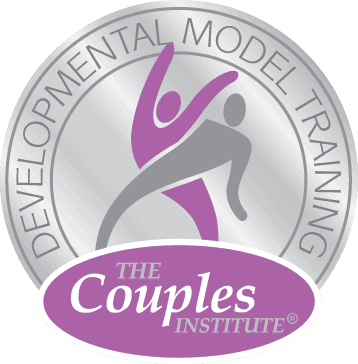 Ellyn Bader, Ph.D., is Co-Founder & Director of The Couples Institute and creator of The Developmental Model of Couples Therapy. 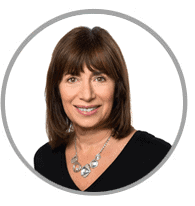 Dr. Bader is widely recognized as an expert in couples therapy training. She has trained therapists throughout the United States as well as in Europe, Russia, Asia, South America, and Australia. Ellyn has authored two books. The first one, In Quest of the Mythical Mate, was awarded the Clark Vincent Award by the California Association of Marriage & Family Therapists for its outstanding contribution to the field of marital therapy and is now in its 18th printing. She has been featured on over 50 radio and television programs including The Today Show and CBS Early Morning News, and she has been quoted in many publications including The New York Times, The Oprah Magazine and Cosmopolitan. 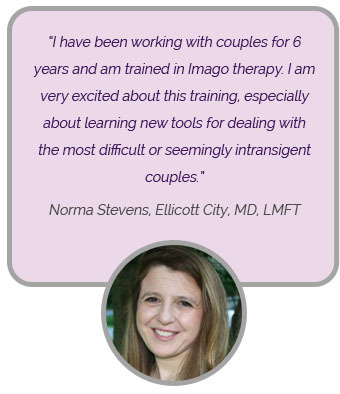 Since 2006, Ellyn has led innovative couples therapy training programs online. 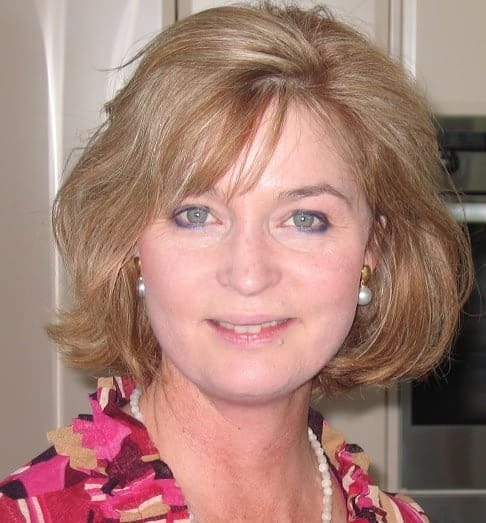 Professionals from around the world connect with her through internet, conference calls and blog discussions to study couples therapy.